Food rotting away – don’t let it! Almost Paleo - A Lifestyle Not A Diet > Uncategorized > Food rotting away – don’t let it! We have all been there. When we open the refrigerator and look down into the vegetable drawer there are some things lurking in the shadows – hidden away behind fresh green salads and zucchini there is a poor bag of already soft and bendable carrots, half a head of brownish cauliflower and a slightly moldy broccoli….. Food rotting away….. I know this sounds terrible and disgusting, and I try not to let that happen. But sometimes my drawers are so full with vegetables that I forget some poor vegetable buried somewhere. In general I try to use everything I buy, even if it means to stuff my freezer full of vegetable soup, which we thankfully love to eat. Which brings me to my bananas my husband brought last week. I have a fruit basket with a banana hanger and there they stay and stay and stay….. Ok when he brought them home, they were between yellow and still a bit green. Then they started to become more yellow and then they sprouted brown spots…. But sometimes they sit there and sit there…. you get the point…. My husband also brought grapes, which we had to eat before they go bad – so my bananas were abandoned until yesterday. I walked in the kitchen to wash the dishes after lunch and saw those poor bananas. I had 2 choices – peel and put in the freezer – or bake something with them. When I pulled out my huge collection of recipes, I realized that I only had a tiny bit of almond flour left. But I had a 5lb bag of coconut flour. 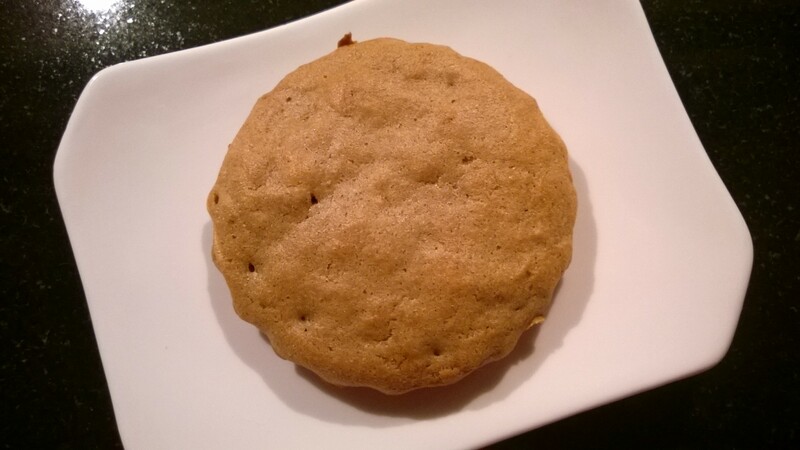 SO…… There was a coconut flour pumpkin recipe I used to make often and I thought…. hmmmm, let’s switch the pumpkin with banana and the cream cheese with peanut butter – and there were born the Banana Peanut Butter Coconut Flour Muffins. My very valuable taste tester (=husband) highly approved of this concoction – so I will share this recipe with you. Click on this link for a tasty treat that is easy, quick and gluten free.